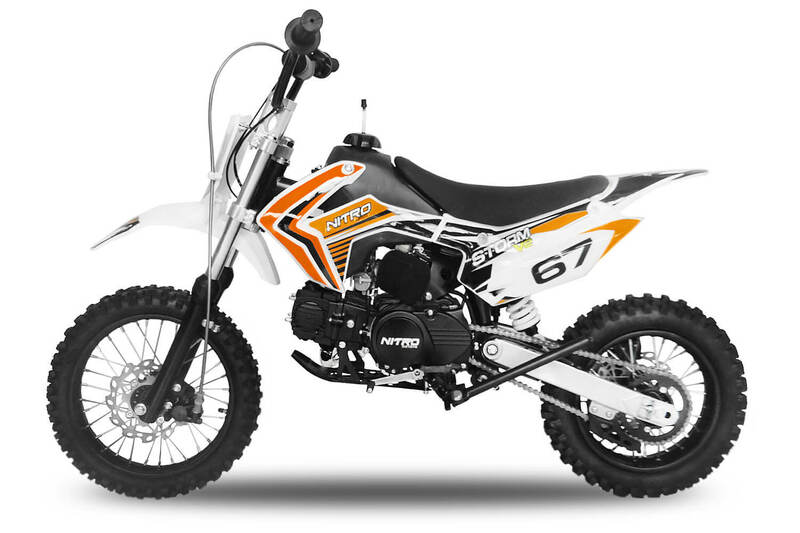 Storm 125ccmini dirt bike available only from MiniBikes.Store. Perfect starting bike forkids age from 8 years old up to 15 years old. Easy to maintain and hassle free4 stroke engine, 4 gears manual gearbox and kick start make Storm 125cc dirt bikeperfect first bike.